Anyone, like myself, who has moved a lot, knows just how important a home can be! 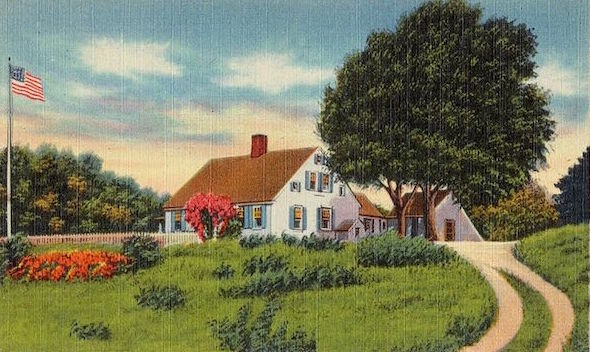 The year I was eight, my parents bought a house in Wellfleet. I wanted desperately to stay on the Cape, riding the dunes on my pony, but my father, a writer, was restless. Within a year we had moved on, although my parents kept the house, returning there from time to time. By the time I was 12, our family had moved 12 times. As we continued our travels, the memory of our home in Wellfleet was my rock, my center. Finally, after having lived in seven states and five different countries, I at last returned to my childhood home on Cape Cod. For me, it is the most special place of all, the place that I always come back to, and love more than any other. Because living on the Outer Cape has meant so much to me, I want to share that experience and help you discover your special place in one of the most extraordinary locations in the world, where your home will be surrounded by nearby ponds, the bay, and the ocean.